There are frequent ferry itineraries during the summer season connecting Greece (Igoumenitsa) to Italy (Venice). The distance between the two ports is approximately 925 km and the journey has an average duration of 26 hours. An average ticket price for passengers is below € 100. How long is the ferry ride from Venice to Igoumenitsa? The average duration of the trip from Venice to Igoumenitsa is 27 hours. As the ferry is the most popular way of bringing a car or a caravan to Greece, vehicle tickets sell out fast. Moreover, as these journeys are quite long, it is advisable to book a cabin ticket. To keep on the safe side, we would suggest that you book your vehicle and cabin tickets as early as possible, as they usually sell out until April. If this trip seems too long, you can also find alternative itineraries, that connect Greece to Italy. A look at our articles on the routes Ancona-Patras and Ancona-Igoumenitsa may be very useful for planning your trip! Ferry tickets from Venice to Igoumenitsa cost below € 100 euros. 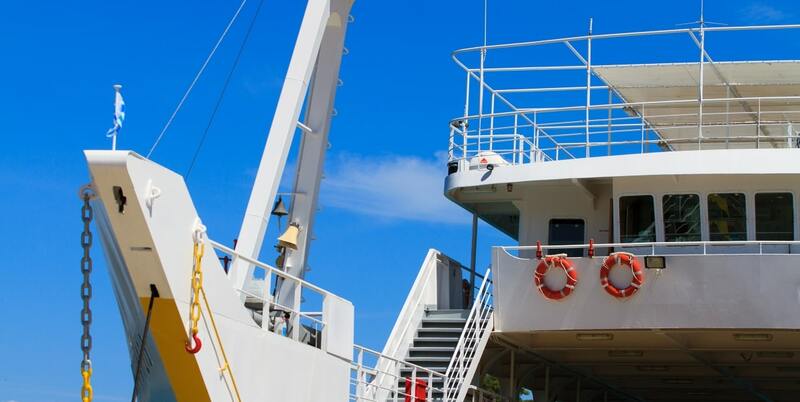 Prices may vary between ferry operators, but in average do not fluctuate a lot. Concerning the transfer of vehicles, car and motorbike tickets cost more than the normal passenger ticket and their prices change from a ferry operator to another and the season of the trip. Early Booking Discount: This is a seasonal discount that is opening in December and closing in February/March. Usually, a 20% discount is applied to the overall ticket price. Please note that tickets issued with this discount cannot be either canceled or refunded. You can find more information on the Early booking discount here. The distance between Venice and Igoumenitsa is about 925 km or 500 nautical miles. From Igoumenitsa port you can easily visit Corfu, Ithaka, Kefalonia, Zakynthos and almost all the islands of Eptanisa. The duration for most of these trips is really short and the prices are not very high, during the whole summer season. The most convenient means of public transport to get from the port of Igoumenitsa to Athens is the regional bus (KTEL). The cheapest ticket is approximately 40€ by bus and the duration of the trip last around 6:30 hours. The port of Igoumenitsa is usually crowded during the whole summer season, and multiple ferries can arrive/depart at the same time. Make sure to be there on time and ask the port authorities personnel for information regarding your ferry. Venice is one of the most beautiful cities of Italy, but you can also check other italian ports that Greece is connected with, such as Ancona, Bari and Brindisi. The port of Venice is also connected with the greek port of Patras. More information on that ferry route you can find here.